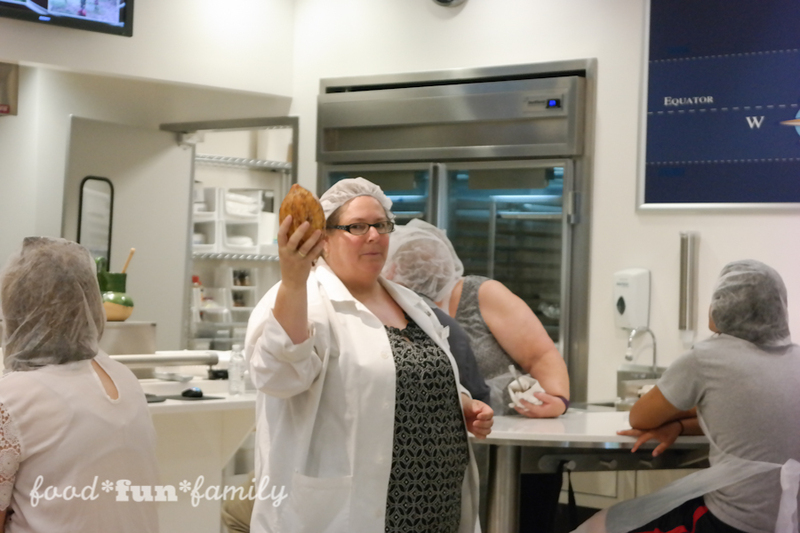 My family visited the Chocolate Lab while we were visiting Hershey, Pennsylvania as part of my Sweetest Moms ambassadorship. 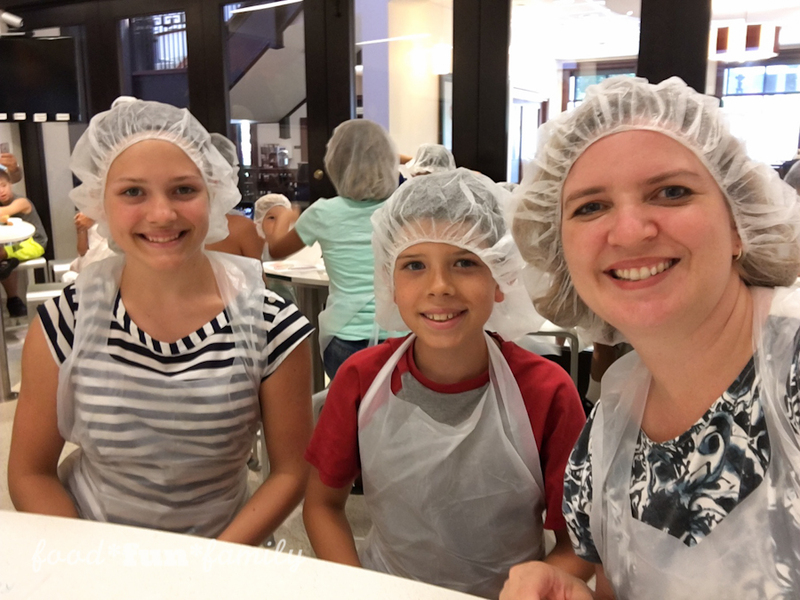 Although our overnight accommodations at Hershey Lodge and Hersheypark tickets were compensated, we payed for the Chocolate Lab experience on our own, because it was something we wanted to do. 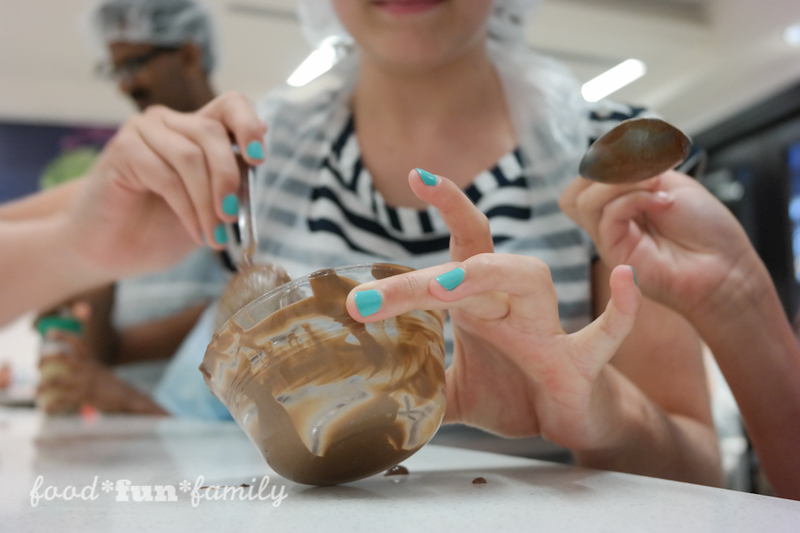 We loved the Chocolate Lab and it ended up being one of our favorite memories on our trip! What is The Chocolate Lab? 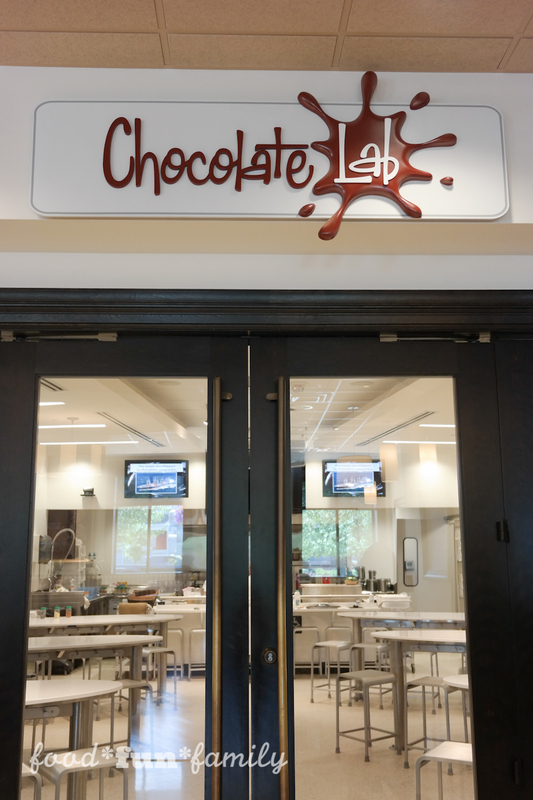 The Chocolate Lab is an interactive experience inside The Hershey Story – The Museum on Chocolate Avenue, located at 63 West Chocolate Avenue in Hershey. 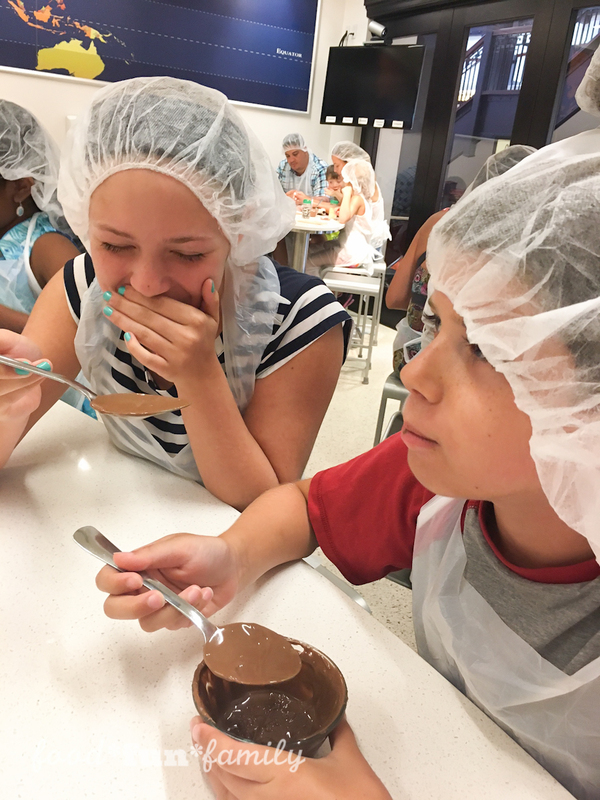 You can expect a fun hands-on chocolate activity inside a “real” lab, made more fun by the fact that everyone must wear aprons and hair nets/bonnets! Get ready to roll up your sleeves and lick your fingers! 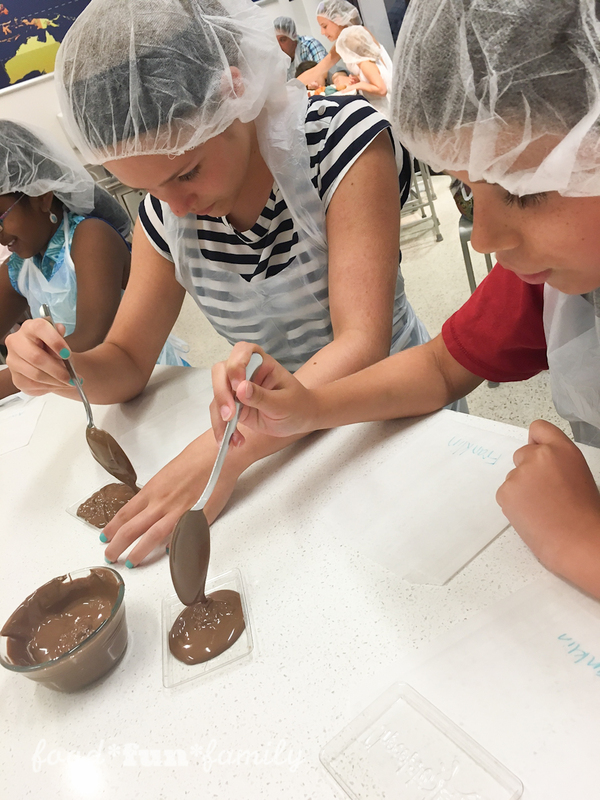 Not only do lab participants get to make their own chocolate creation (dipping, molding, mixing, and adding mix-in ingredients), but they learn about the chocolate making process and get a little historical background on Milton Hershey and his love for chocolate. 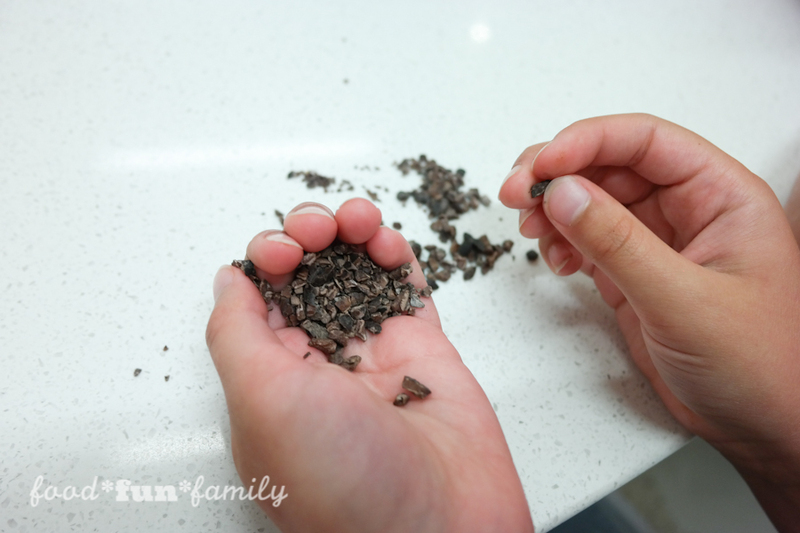 We even got to taste chocolate nibs – even “darker” than dark chocolate! 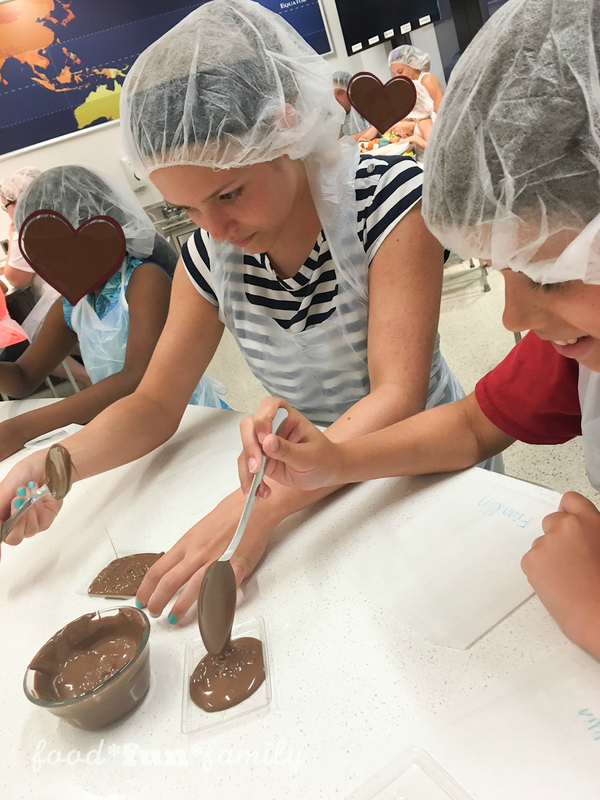 Each lab lasts about 45 minutes and is led by one of the Herhsey Story’s resident chocolate gurus. Of course, at the end of the lab, everyone can take home their chocolate creation (although ours only lasted a few minutes outside the lab doors!). Workshops vary and all of these may not be available when you visit. When we were there, they offered 7 classes between 9:45 am and 6:00 pm. Check with the front desk at the Hershey Story for a listing of workshops for the day you are visiting, check the website, or call ahead. S’mores Galore – Have some summer fun as you make your own, sweet variation on S’mores (without the fire, of course). Learn the origins of this campfire confection and some Hershey’s trivia. You’ll also learn about chocolate from tree to graham cracker. 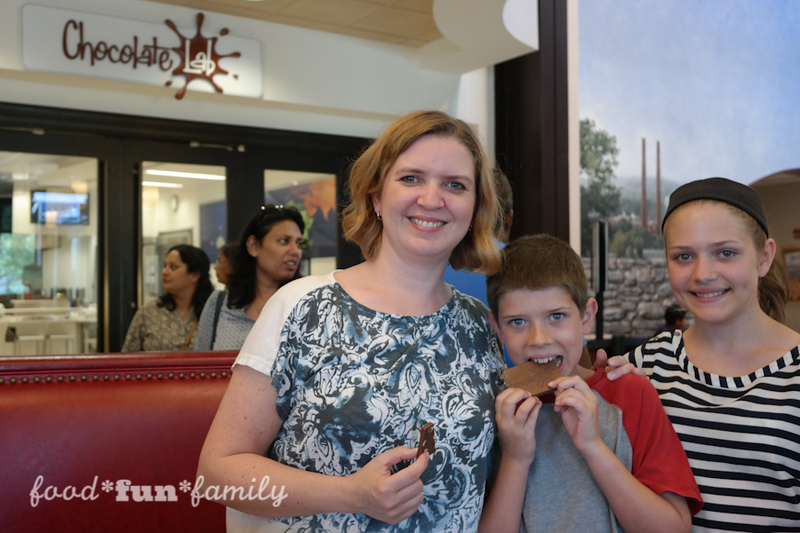 Build a Bar – Follow in Milton Hershey’s footsteps as you design your own candy bar. Discover the business behind the product as you choose ingredients to add based on flavor, appearance and your own preferences. 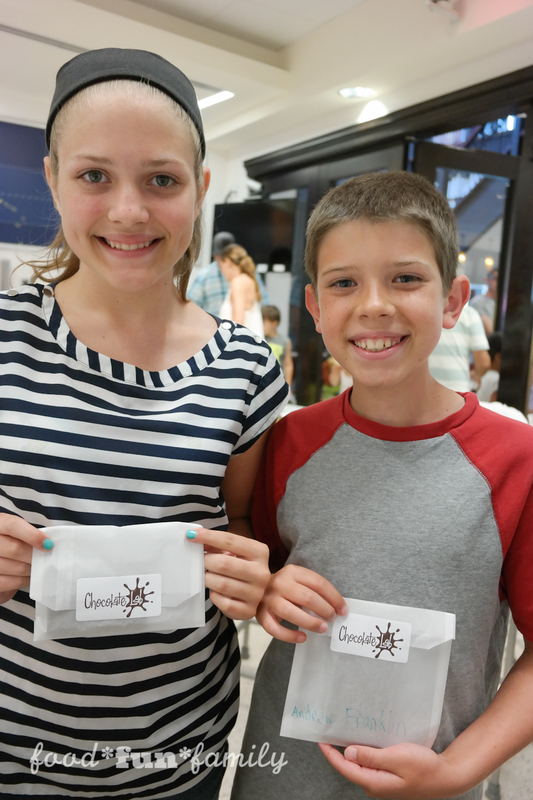 Chocolate Beach Bars – Celebrate summer by designing your very own sea shore-themed milk chocolate bar using edible decals and plenty of “sand.” Take a walk along our “chocolate beach boardwalk” as you learn about Hershey’s classics. Also find out where and how “cacao” is grown, harvested and processed into your favorite chocolate confections. Planet Chocolate – Learn some delicious geography by finding out more about the many places around the globe where cocoa beans are grown. You will be guided to recognize differences in cocoa beans’ appearance and taste and make your own unique bar to take home. 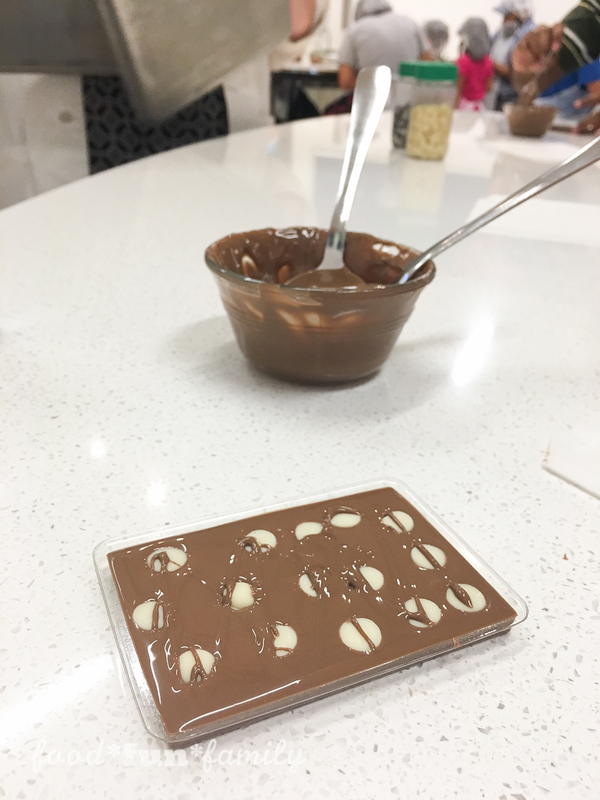 We attended the Build a Bar lab and had the opportunity to pour our own Hershey’s milk chocolate into a special Chocolate Lab mold, tap out the air bubbles, and then add toppings as desired. 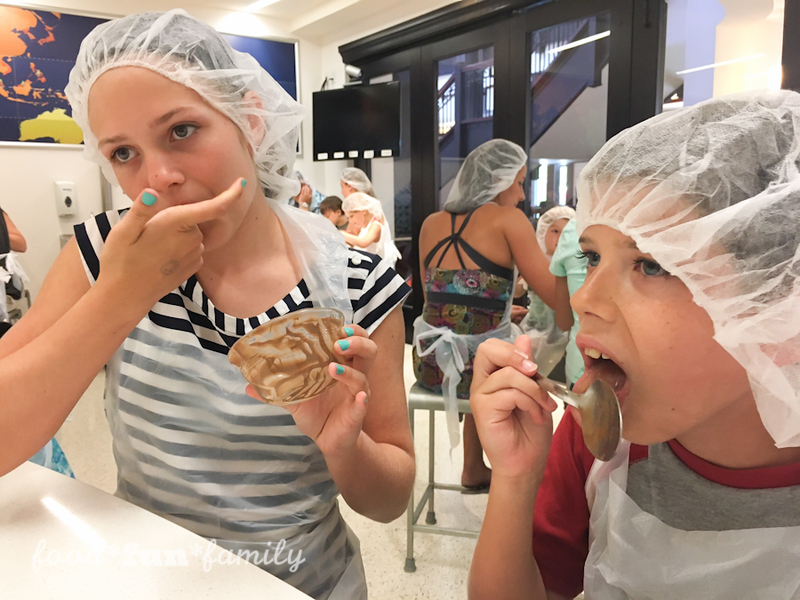 My kids liked their chocolate pure and simple (nothing wrong with that!) 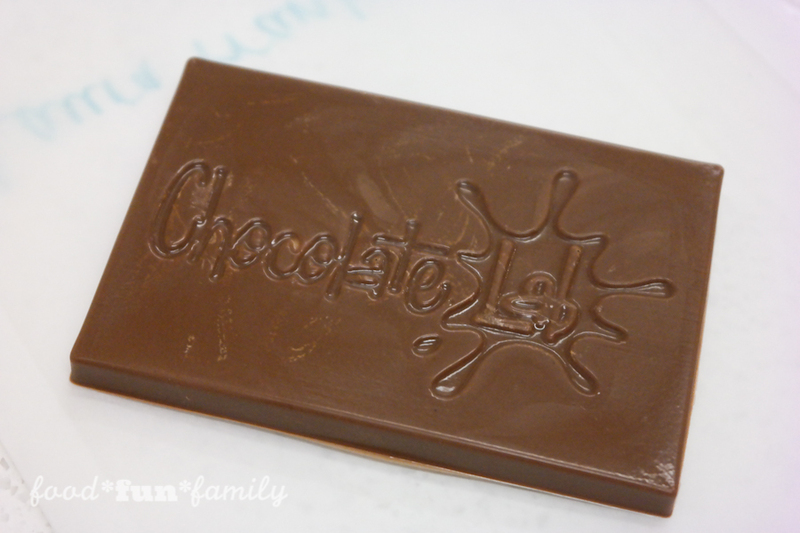 but I chose to add white chocolate chips to my bar (PS – we learned what white “chocolate” is during the lab, too!). I think the favorite part of the lab for just about everyone in the room was when one of the lab assistants gave everyone the green light to finish off all of the extra chocolate from our bowl. There were lots of smiles during that portion of the lab! You can purchase tickets at the front desk at The Hershey Story. It is recommended that you arrive early and get tickets about 60 to 90 minutes before your desired lab is set to start. You can always use your waiting time to walk around the Museum (separate admission). Each lab time has limited seating and they do sell out. They told us to line up about 10 minutes prior to the lab start time. Once the doors opened, one of the chocolate gurus seated all families together. Note: family members that are not interested in attending a Chocolate Lab can still watch through the glass to see how much fun those inside the lab are having! This is really incredible! 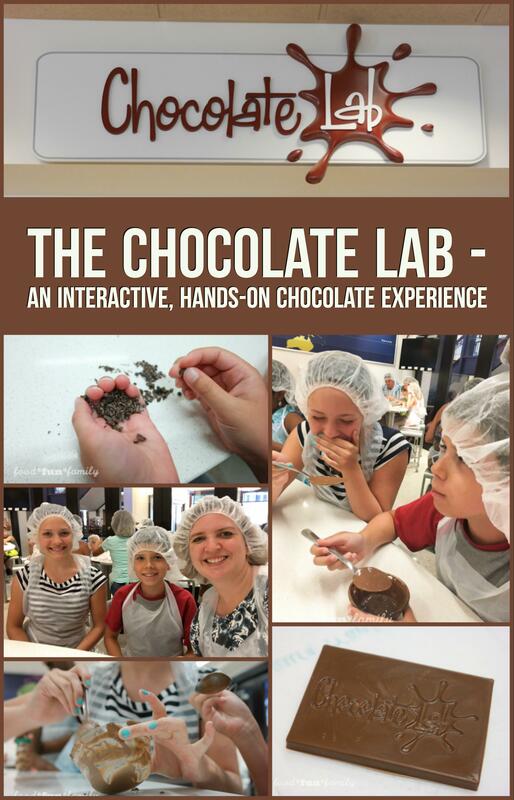 I would so love to take my daughter and son to the Chocolate Lab and have them create some fun chocolate things. I think the price is great and maybe someday I will be able to go there! Yum! What a fun experience and special memories made!